The hand held devices market is more competitive than ever before. There are all sorts of launches on a regular basis and old and new companies seem to be in a constant tussle for supremacy. Now with news of Apple’s iPad Mini, the waters are getting even choppier. 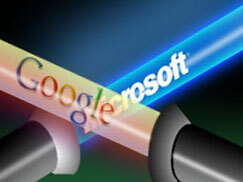 Both Microsoft and Google were hoping for a 29th of November launch of its new range of products. Hurricane Sandy was an event no one in Google must have expected and the company had to scrap its New York event. That has not stopped the company from unveiling a whole new range of goodies. As we’d expected, Google has introduced two new tablets, the Nexus 10 at $399 and the Nexus 7 at $199. The former tablet has a more powerful screen resolution at 10”, way more than its competitors have to offer including the much hyped Retina Display from Apple. The Nexus 7 is exciting too, comes as it does with 1280X800 pixel resolution and backed up with the power of the Tegra 3, a quad core processor. There’s a better memory too in the new 16 GB model and you have network access. There’s also the latest smartphone, the Nexus 4 that retails at a starting price of $299. The phone has better voice assistance and comes with Google Now- an information provider for many things like tickets, traffic and weather. Users of the phone will find typing simpler to do and can create beautiful 360 degree images. What’s more, you can buy the phone directly from the company for only $299 for its 6 GB version and $349 for the 16 GB version. This means you are not carrier dependent which is good news for the user and great news for the company. Google gets to control all aspects of its phone. The company has announced that all products will be available early November and will run on Jelly Bean. Google’s Play Store gives users a range of applications, books, music and many other services. Microsoft has the power to give Google and Apple a serious run for their money. After all, Microsoft dominates the world of desktops. It will come as a relief for users and carriers to have more choice and to be rid of the dependence on the other two companies. Microsoft’s phones have some big names backing it up, like Nokia, HTC and Samsung. 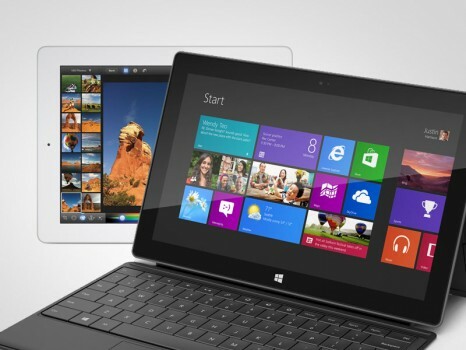 The phones boast of Windows 8 and will be carrier-dependent. There’s a new, expanded Start screen, IE 10, NFC, processing cores and expandable memory to name just a few features of the phone. The screen has tons of color and allows for better full screen widgets. You get recommendations from the Bing app and there’s better security in the form of encryption. There’s a kid’s corner and a ‘family room’ app and you can sync and create storage using cloud. What’s more, Microsoft has released its answer to all the tablets out there with the Surface, its highly anticipated tablet. The tablet starts at $499 and features chips at a lower-energy level while the expensive version will have Intel chips to power the device. The company has recently created the Windows Store in a bid to give users software tailor made for its devices and to ensure loyalty. So many choices for that holiday shopping list! Gabbie has been writing technology related contents such as blogging, social media, gadget reviews and tutorials and making money online for more than four years now. She is currently working as a writer for Massbeacon where you can get details on FiOS Availability offers and savings.